Hernando, FL – On August 14, 2013, HDG Hotels hosted a Partners' Summit. The event was a tremendous success. The attendee list included representatives from Choice Hotels International, Intercontinental Hotels Group and Wyndham worldwide along with local area state congressional representatives and county commissioners. 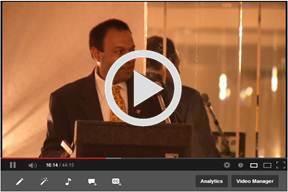 In his Keynote address, Navroz Saju, HDG President and CEO, discussed the Saju family's history in the U.S. and the history of HDG hotels through a series of several stories. Notably, in his speech Saju discussed HDG core values and the values needed for HDG to continue to thrive in the new normal. HDG continues to be especially appreciative of its many partners and attendees and also is grateful for all of those who attended its Partners' Summit.